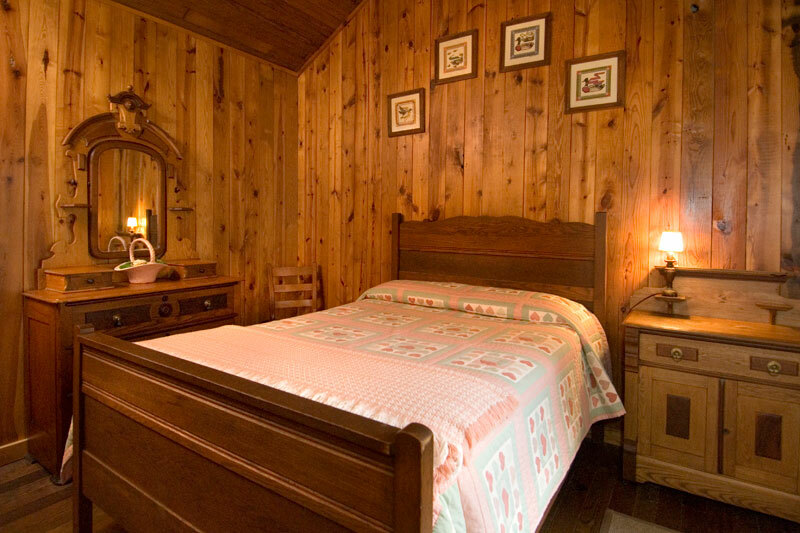 The Lollis Cabin is decorated with antique memorabilia. You won’t be able to make any calls on the antique wall phone, but it’s one of many conversation pieces in the cabin. 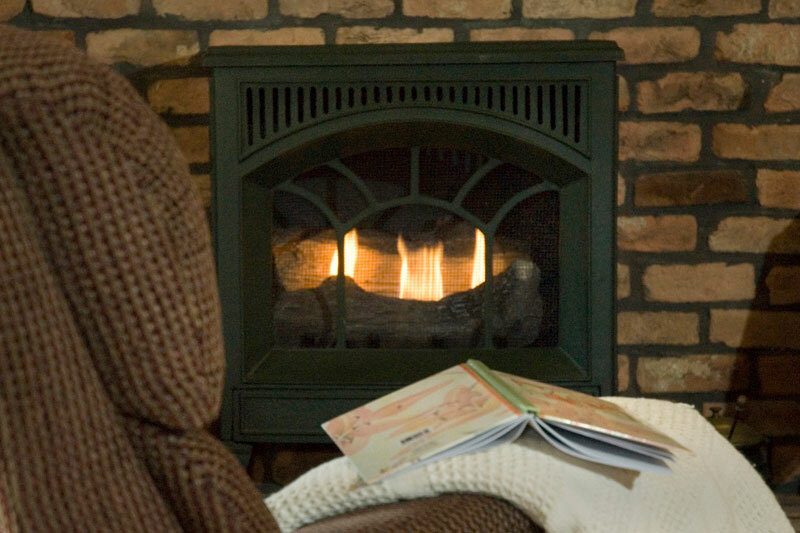 The airy great room has plenty of space for everyone to enjoy the freestanding, cast iron gas fireplace and the cable TV. 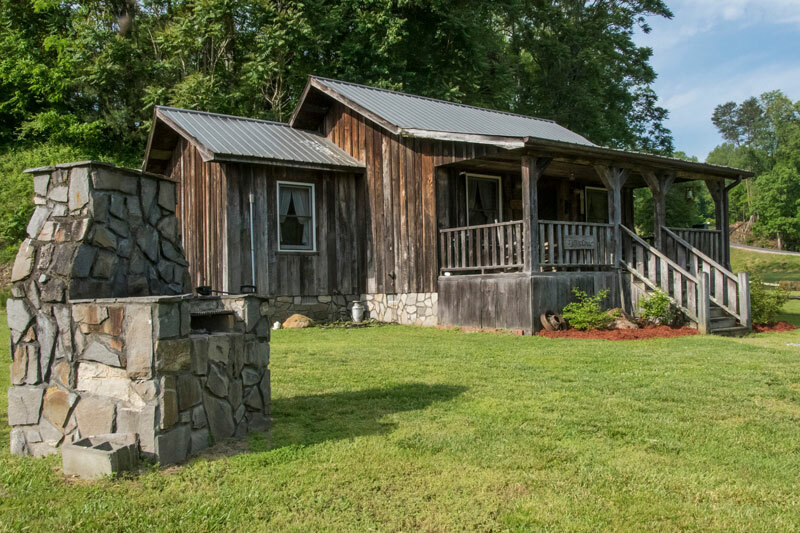 If you’d rather do your visiting outdoors, the front porch has rockers and view up the Valley towards the National Park. 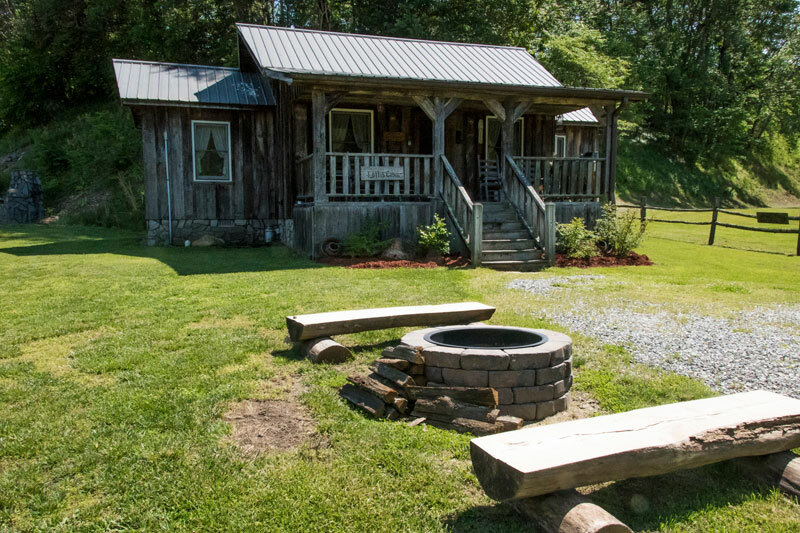 Or you can swap stories around the fire pit. 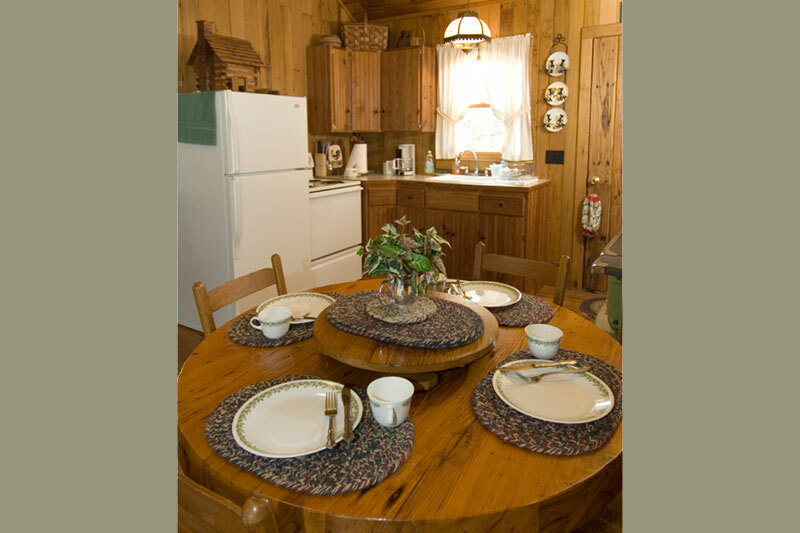 The kitchen is equipped with stove, toaster oven, refrigerator, coffee maker and microwave. You’ll find all the utensils you need for cooking and dining. Whether you cook indoors or outside on the stone barbeque grill, there’s a large dining table for six convenient to the kitchen. 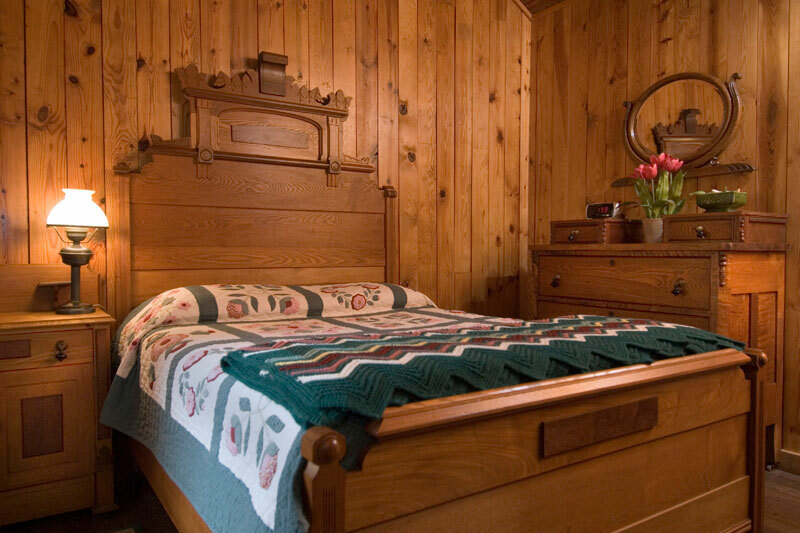 The cabin has two bedrooms – one with queen bed and one with a double bed; patchwork quilts and antique dressers. Linens are provided. A queen-sized sleeper sofa brings the maximum occupancy to six. 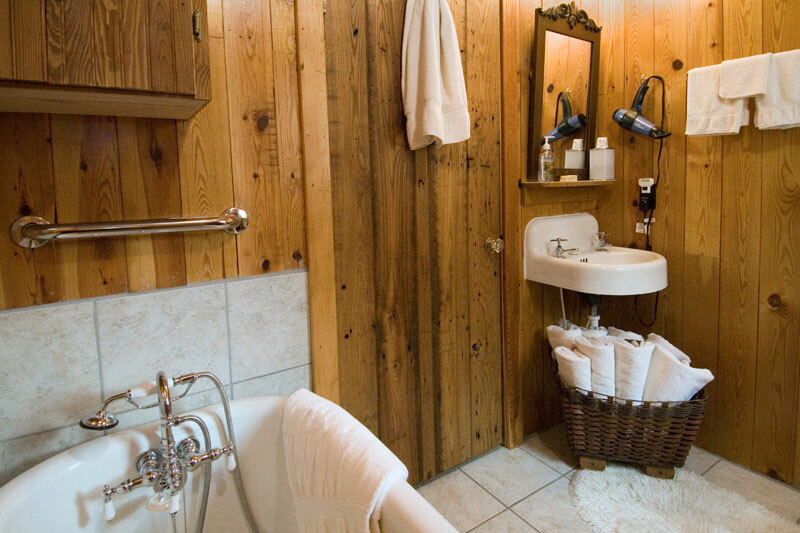 The bath has an old-fashioned claw-foot tub with hand held shower, hair dryer, soaps and plenty of towels. 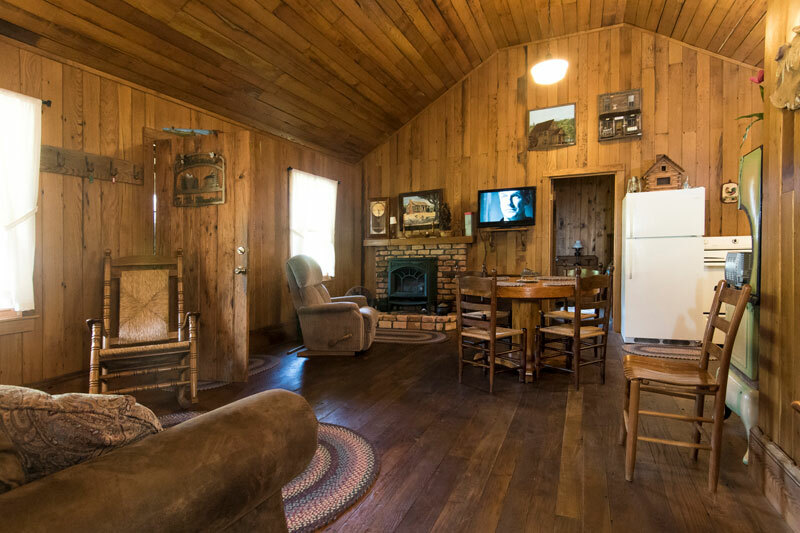 "Since retiring in 1988 we have visited many places from above the Arctic Circle to Antarctica, the list on accommodations we have stayed in are long and the Lollis Cabin is at the TOP. 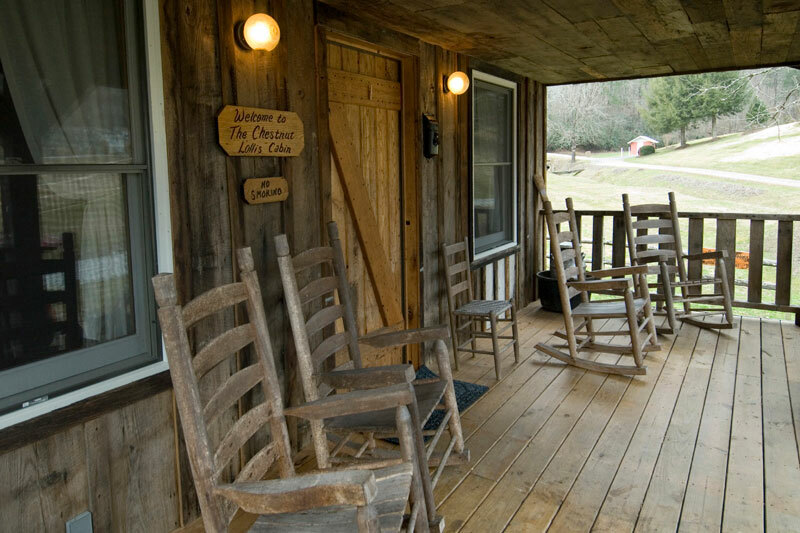 Relaxing in the rockers on the front porch will be high in the many nice things we will tell our friends."